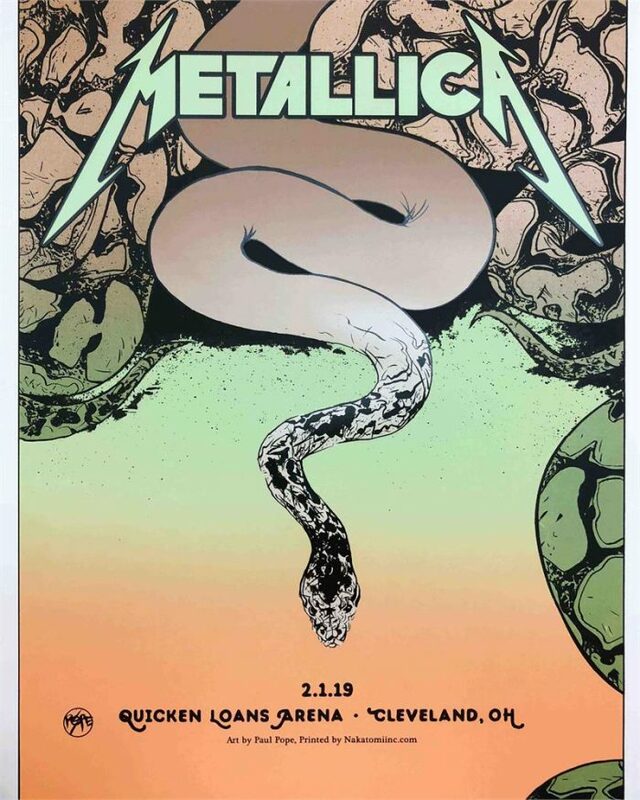 METALLICA- Cleveland by Paul Pope! Comic book legend Paul Pope brings his line work to our official Metallica VIP tour poster series! This 18×24 hand-printed silk-screened poster is available in an AP edition of 100. Nakatomi has much less than that available! Nakatomi is the onlyplace you can purchase the screenprint edition- all show prints were lithograph prints! Pick one up HERE in the Nakatomi Store while supplies last! The Metallica VIP series will pick back up on Feb 28th when the band hits the road to finish out the North American tour! ← METALLICA Nasville by JENNY FRISON!